We got to Quibdó at noon on Monday January 16th, 2017. For the next 3 days we were going to connect with several youth organizations that are working to shift the image of a city and a region that’s been traditionally misunderstood for a long time. These youth organizations and the leaders involved with them are literally changing the story about their region by creating new narratives about their community and broadcasting them to the world. After spending 4 days in a secluded and pristine location north of Quibdó, the first thing I noticed was how different this place was from everything else we’ve seen in Chocó. The city sits at the banks of two large rivers, the Atrato and San Juan. Just like the rest of the region, it’s humid and hot. One of the most striking things I noticed was how heterogeneous the city was, both in its physical form and in the landscape. The physical, political, and economic isolation from the rest of the country just adds another layer of complexity to the city. Quibdó, a large city, is only connected to the rest of the country by a single deteriorated road. It is well known by locals that traveling by road to the city is a long and almost impossible task as many days a year it remains closed due to mudslides and armed conflict. Our agenda for our 3 day visit to Quibdó was packed. We met with 4 different grassroot initiatives and had little time to explore around the city. Although it would have been nice to go see more of the city, our time and work with the initiatives was so powerful that I definitely think we made the right choice. Our first visit was to a Youth Robotics training program led by Jimmy and Alexander, who were participants of the EIC Lab. We heard from them about the challenges that youth in Quibdó face, especially those related to violence, gangs, and criminal bands. We also learned about the incipient tech scene that has been developing over the past couple of years in the city, a movement mostly led by young local engineers and ‘techies’. Through robotics and using STEAM (science, technology, arts and math), they encourage young students to use this vocational training as a response to structural violence in the city. 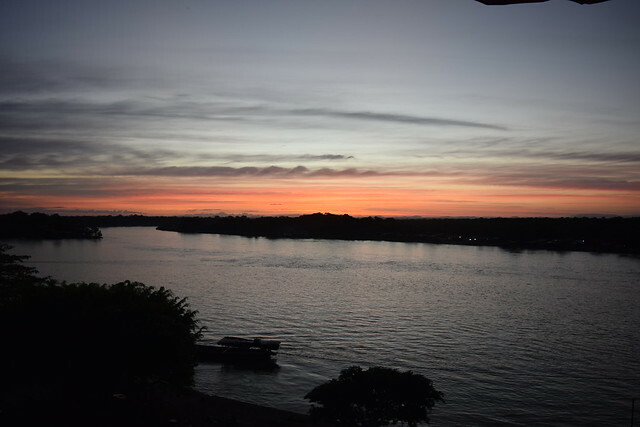 For our second visit we walked to the Youth House, which is strategically located in front of the riverwalk, has breathtaking views of the Atrato River and has become a landmark for civic and cultural organizations. Our host, Klaus, is the Youth Coordinator for the municipality and is in charge of running this space. Across 3 floors, the Youth House provides cultural programming, spaces for arts and music, and has become an incubator of sorts for many grassroots organizations. While we met with Klaus and discussed the design and implementation process of an Innovation and Creativity Center, music groups were practicing in the room next to us and a dance crew had just started a meeting one floor below us. The Youth House is a place for creative entrepreneurs and many identify it as a critical space for movement building with youth. Even though seeing youth organizing is invigorating and exciting, the long trips, the amount of information to process and the heat quickly wore us out. After the meeting, we walked to our hotel and I noticed that Quibdó is a very different city at night. As soon as people are done with their routines, many head out to parks and plazas looking to meet friends and have food. The downtown scene was really vibrant by the time we were heading back to rest. We started our second day in Quibdó walking to ChocQuibFilms. 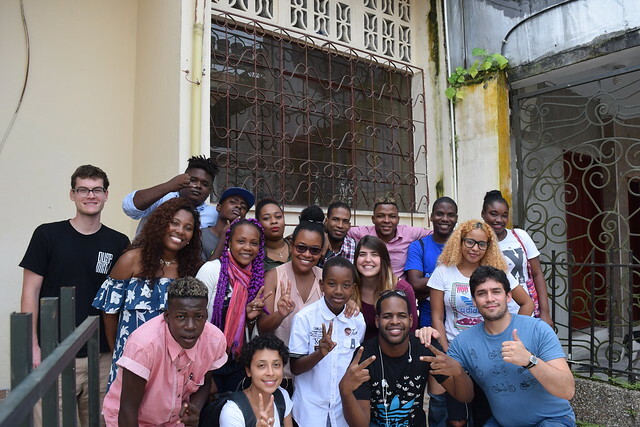 They are a media group led by young artists and sponsored by ChocQuibTown, one of the most famous Colombian music groups and excellent representatives of the cultural assets that the Pacific Region has. This media collective has focused on changing narratives about ethnic identity and rescuing cultural traditions through audiovisual production. Their training programs are supported by a new generation of filmmakers, producers, sound specialists and actors/actresses who aren’t content with the way traditional media and the audiovisual sector has portrayed the Pacific Region. Here’s their YouTube channel. For our final meeting, we took a cab to head towards Jovenes Creadores del Choco’s operation center. They’ve rented a house in a nearby neighborhood to be the base for their capacity building work and their peace-building initiatives. They are a network of young volunteers that came together because they didn’t feel represented by other groups. They found arts and culture were the best vehicles to express their discomfort and their potential. Their flashmobs and outdoor activities have become popular in Quibdó and viral in regional and national social media. They’ve engaged with the public sector and education centers in the region in building capacities for peace and post conflict. They are sharp in understanding the political and social challenges for youth and are extremely progressive and values based. They hold a significant amount of knowledge about local and regional development strategies as they have been marginalized by them. They are definitely the future of a region that has treated youth as dispensable in the past. 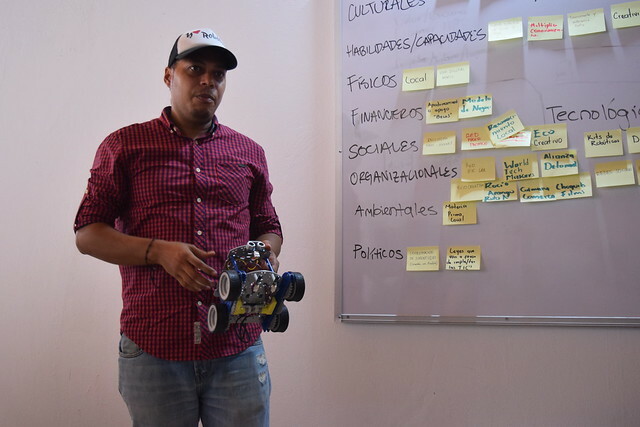 Young people in Quibdó are now looking to become engineers, robotics experts, entrepreneurs, filmmakers, actors and actresses. 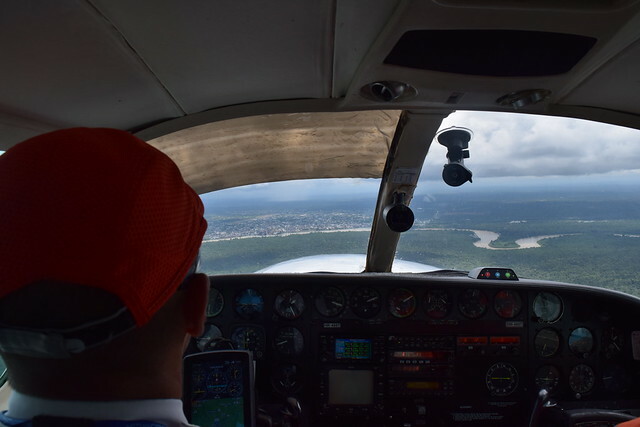 Armed groups and criminal bands whose recruiting practices were seen as irresistible by many are now facing a challenge: people have found better alternatives and are building their futures based on their dreams, their capacities and their creativity. Post and photos credit to Juan Constain.